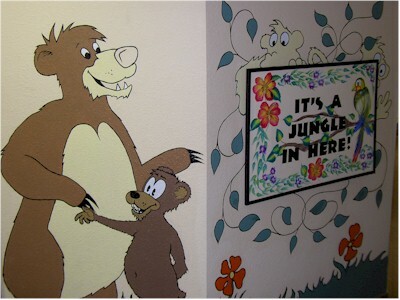 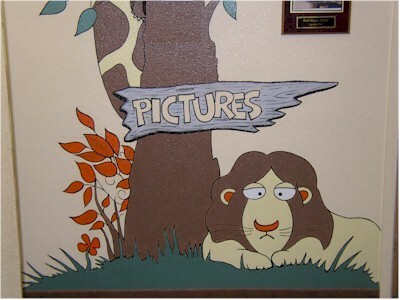 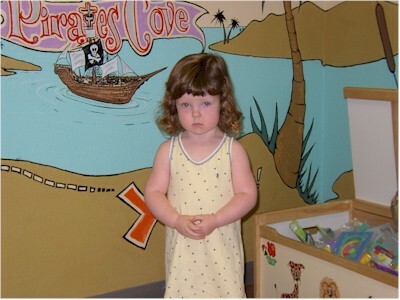 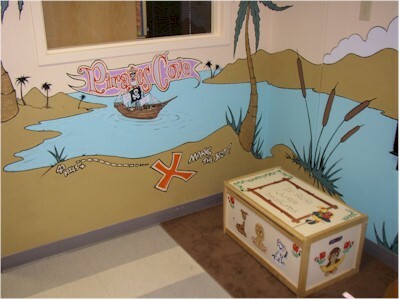 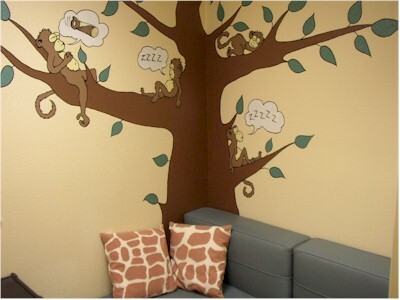 Welcome to a small web tour of our pediatric dentist office! 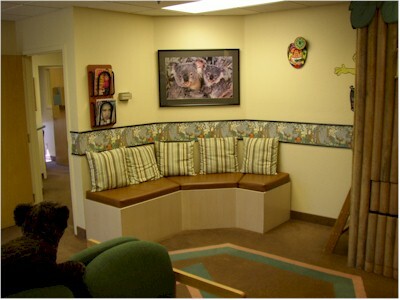 We've made our dental home comfortable and inviting for our Phoenix patients. 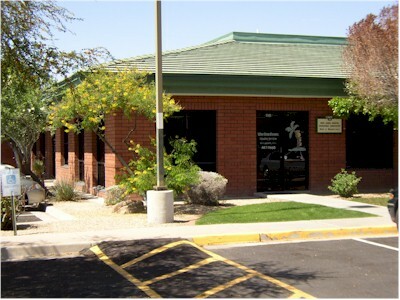 We're located in the LeCota Office Park at 7th street and Bell rd., North Phoenix, AZ. 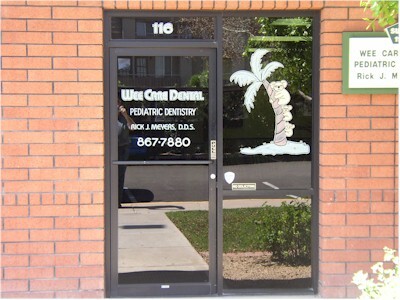 Just look for the door with the Palm tree and Koala bears! 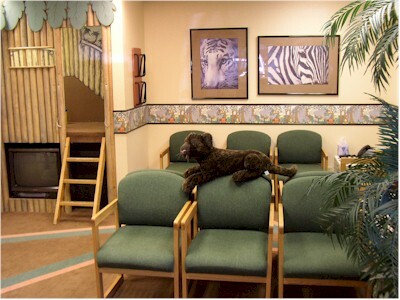 Our waiting room is so much fun, just beware of the wild animals! 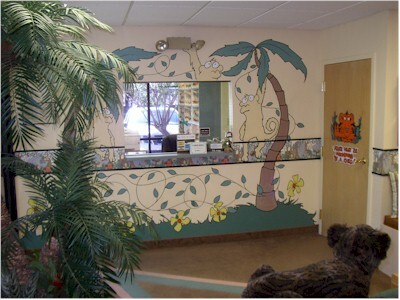 Here's our front desk area and the door to the treatment area! 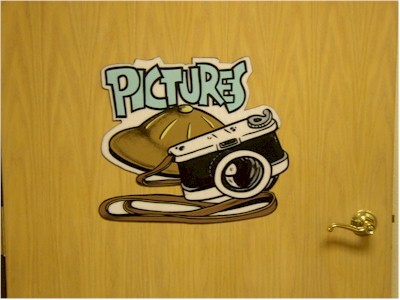 Are you ready to come in? 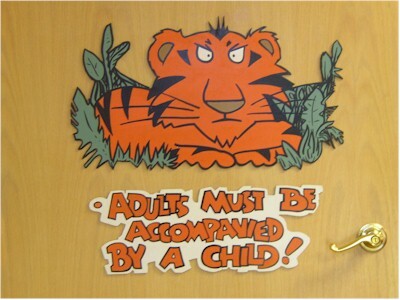 Or sedation...... 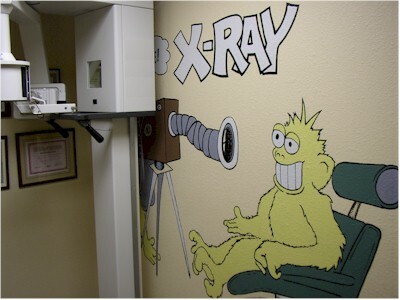 They will be comfortable here at Wee Care Dental.